Have an emergency on your existing solar panel system? Is your original solar installer out of business? Talk to a repair expert right now at 314.771.5131. 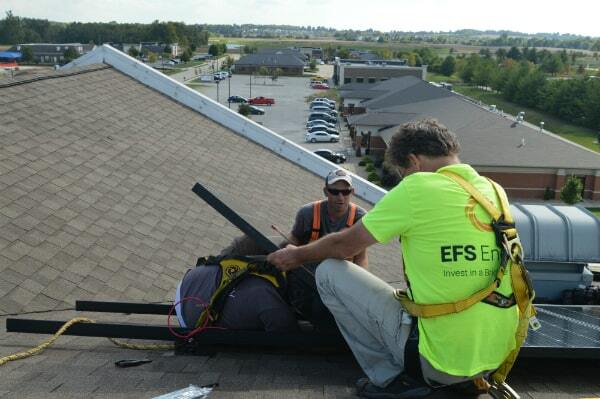 EFS Energy has more than 2 million watts of solar power installed across the Midwest. We’re dedicated to providing all-around solar energy assistance from initial installation to ongoing maintenance. If for some reason your system is not producing the amount of solar energy that it should, and you suspect that there might be an issue, one of our highly trained professionals can help diagnose problems over-the-phone FREE. This consultation will usually be enough to get everything back online. However, if we cannot determine the issue then we may need come to your location for a better look. We’ll even come to your home or business for a more thorough inspections to identify the problem. After giving you a comprehensive report on what the next steps should be, we are happy to repair or replace malfunctioning parts, pieces, and panels to get you back up and running again quickly.